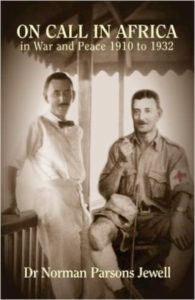 Norman Jewell’s memoir gives us the best eyewitness account of medical conditions among the troops fighting in East Africa that has been published so far. It is a riveting story of the horrors of warfare in the heat, mud, flies and dust of Kenya and Tanganyika. 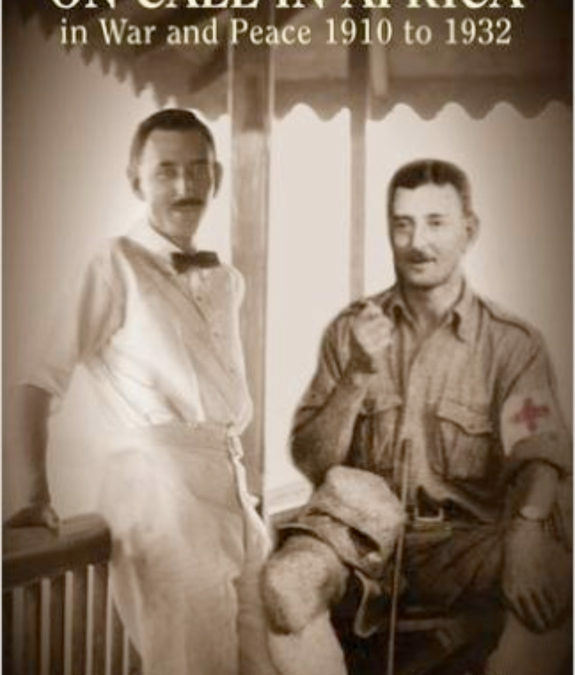 Jewell was a medical officer in the Colonial Medical Service and served in World War I as a captain in the 3rd East African Field Ambulance. Before he died he wrote his memoirs, which have been amalgamated in this book with his unique daily diary written in the field during the war. The book also contains a preface by World War I historian Edward Paice and a section written by the author’s granddaughter about the Jewell family. The book has been professionally edited and has wonderful explanatory footnotes. The book begins with a splendid account of life in the Seychelles in 1912, where Jewell was first posted for four years. He was then sent to Kisumu to take charge of the Native Hospital as well as a temporary hospital for European troops. He cannot have made himself popular when he ordered all the European patients out of the nearby local bar and back to bed, forbidding further excursions. Jewell tells interesting stories about the disbandment of Ross’s Scouts after an enquiry, the success of Drought’s ‘Skin Corps’ and the composition of the Legion of Frontiersmen. He always describes the tribes of the region and the ailments they suffered – for example, he dealt successfully with bubonic and pneumonic plague in Kisumu. Later Jewell was posted to Tsavo to join the Field Unit, and he travelled to Bura at the foot of the Taita Hills and to Maktau, where he befriended Cherry Kearton, the famous photographer. He also met the renowned hunter Selous. Jewell gives excellent descriptions of the battles of Salaita and Taveta, before he takes over a German hospital, making full use of the German doctor and staff still there. Meanwhile, he does not spare the reader the ghastly conditions under which the troops fought, often with no water or food, endlessly pursuing the enemy through mud and in rags because of lack of supplies. Huge numbers of patients were admitted to his unit on a daily basis – there were 1096 in toto for October 1917. Like so many of the troops, Jewell also came down with malaria. He lost many friends during the war and the book gives a personal touch to the sad loss of life. After the war Jewell went to the Nakuru Memorial Hospital, presiding at its opening. He often travelled miles to see patients, riding on the front of the engines of goods trains, or in a cart to Eldoret (where there was no doctor at the time), or on a bicycle for 60 miles or more. In 1920 he was posted to take charge of the European Hospital at Mombasa – which meant trips to Malindi and Kismayu. The book tells a lot about Mombasa during this period of history. While there, Jewell successfully treated an outbreak of smallpox and paid personally for the peglegs and post-cataract glasses of his patients. Finally in 1925 he was sent to Nairobi, where he gives us a vivid picture of social and medical life in the 1920s. After he retired in 1932 Jewell moved to England where he worked from rooms in Harley Street and as a general surgeon in Harrow-on-the-Hill. I highly recommend this book to all who wish to know more about East Africa from 1910 to 1932 and the people who lived there, African and European. The book mentions many familiar names from Kenya’s early days and provides interesting vignettes of various characters.